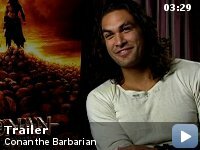 The tale of Conan the Cimmerian and his adventures across the continent of Hyboria on a quest to avenge the murder of his father and the slaughter of his village. 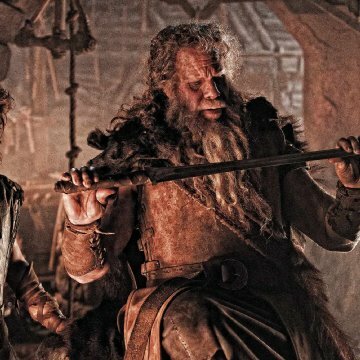 Dolph Lundgren, then Mickey Rourke were in talks to play Corin, Conan's father, but Rourke turned it down to do Immortals before Ron Perlman was cast. 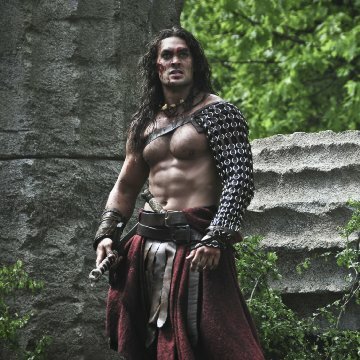 Plot holes: With no apparent way of knowing where Conan's ship has laid anchor, and with no way of knowing that Tamara would be on land with Conan and not still aboard the ship, Zim's soldiers nevertheless are able to set up a perfect ambush to try and capture Tamara after she leaves Conan's chamber and wanders through the forest. Conan: You have a name? Tamara: Tamara Amalia Jorvi-Karashan. And yours? Tamara: [pause] Conan... that's it? Conan: How many names do I need? Director Marcus Nispel is undoubtedly the long-lost offspring of trash master and fellow German, Uwe Boll, as this film is so profoundly awful on every level that it's hard to think that it wasn't intentionally made this way. Remarkably, the movie gets bad immediately and stays that way. One of its most jarring aspects is that it begins with Morgan Freeman's narration, which sounds so utterly out of place, with his comforting, slightly Southern drawl the total opposite of everything bloody and Cimmerian, that it instantly comes across like self-parody, as if we were seeing some schticky Mel Brooks interpretation after the fact. This ham-handed disregard for appropriate tone haunts every frame of the film. 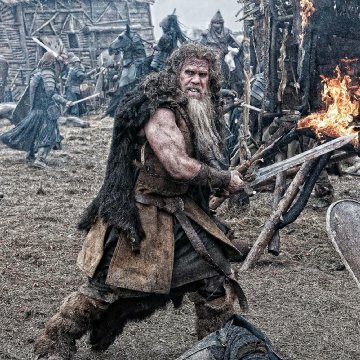 The story fails to find the real Conan -- who in Robert E. Howard's stories is a smart, tough, brutal survivor -- and instead seems to reveal to us the underwhelming idea that Conan's just another hunky sword dude with a knack for slaughter. The script inconsistently sticks to any epic poetic flair in the dialog, so that when such words are delivered, they feel forced and flat. 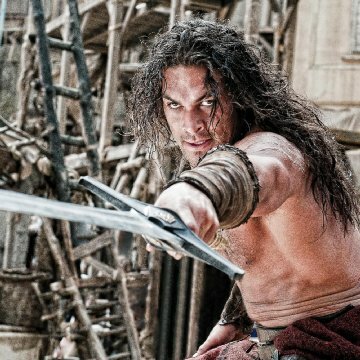 The noted line "I live, I love, I slay, and I am content," is meted out with such lack of panache or feeling that I wanted to wash out Jason Momoa's mouth with soap, right after forcing him to watch Schwarzenegger -- not a great actor, by any means -- deliver the unforgettable tagline: "To crush your enemies, drive them before you, and to hear the lamentation of their women." But then again, John Milius bothered to direct his actors. Stephen Lang (Colonel Quaritch of "Avatar") is the half-assed villain Khalar Zym, who inspires zero awe and no respect on his whatever quest for some supernatural thingy, which is such an afterthought that you constantly forget about it. And post plastic-surgery Rose McGowan as his witchy daughter Marique is so outrageously goth that you half-wish for a Sisters of Mercy musical cue every time she steps on camera; if only her performance received the same attention as her over-the-top costumes. 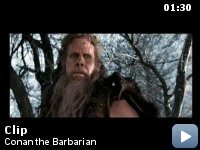 Ron Perlman, as Conan's father, is simply wasted. Weep! I'm totally sick of the short-attention-span style of storytelling. The filmmakers are so afraid that if some big action sequence doesn't occur every ten minutes, that we'll be bored; and of course, this quickly has the opposite effect, as we instead become bored from so much pointless, poorly shot and edited action unsupported by character or story. Video games often have more character development than this film, and yes, I'm specifically thinking of the comparatively Shakespearean struggles portrayed in Donkey Kong. I bestowed two stars on this flick, as the second is for unintentional hilarity, of which the film has much. Its hyperbolic Hyborian cartoonishness makes you either wince or chuckle derisively. Hopefully, as many heads as roll on screen will also roll in Hollywood for this abortive, dreadful garbage. 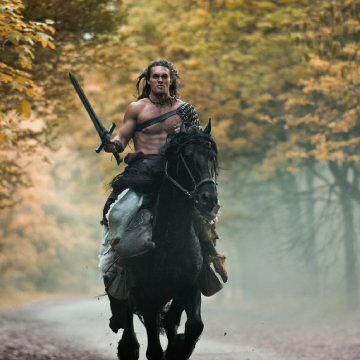 Perhaps the noble Conan will someday get his proper due in a modern film. But not today.